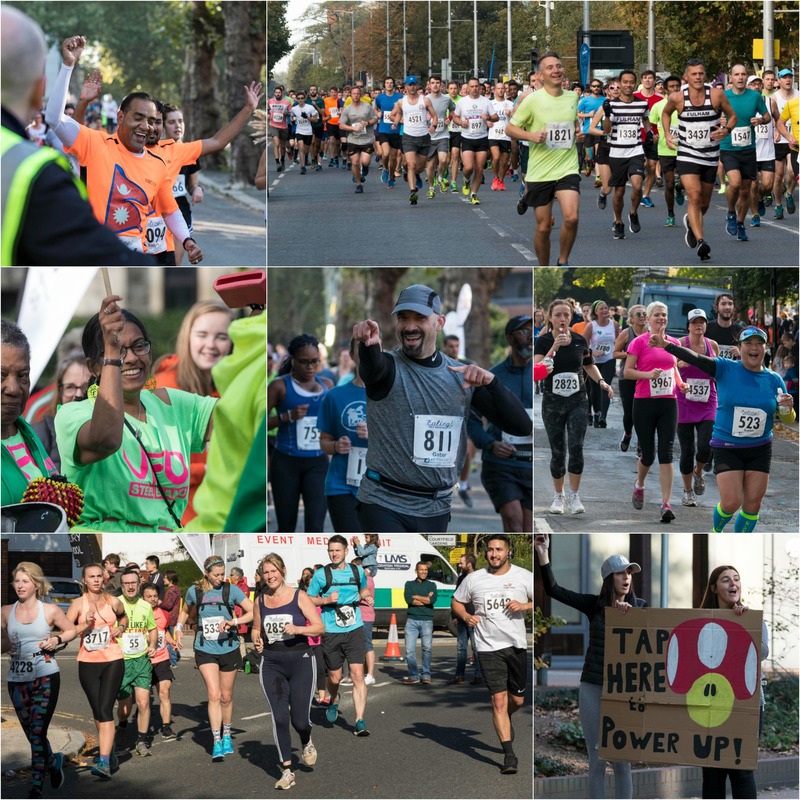 The organisers of the award-winning Ealing Half Marathon have confirmed that over £28,000 was raised at the 2018 race for local schools through an inspired fundraising initiative. The event on 30th September 2018 saw hundreds of parents, teachers and governors from schools all over the borough lace up their running shoes to raise much-needed funds, and their efforts have more than exceeded expectations. Ealing Fields High School were the challenge winners and took home an additional £250.00 presented by Ealing Half Marathon. Now you can do the same for your school. *TERMS – Fees to Ealing Half Marathon (as outlined below) OR a minimum number of volunteers for Ealing Half Marathon on September 29th, 2019 (based on a sliding scale set by Ealing Half Marathon). ** Minimum number of runners – 3 per team. Ealing Half Marathon’s decision is final. Entries for the 2019 Ealing Half Marathon are now open, and any schools interested in entering a team should email us at info@ealinghalfmarathon.com for further details. The Ealing Half Marathon is looking forward to welcoming 7,000 runners from over 25 countries to West London this autumn. It is expected that general places for the 2019 race will sell out in advance, as they did for 2018, and those wishing to be on the start line in Lammas Park in September are encouraged to secure their place early. The 13.1-mile single lap, traffic-free course takes runners through parts of Central Ealing, Montpelier, Pitshanger, West Ealing, Hanwell and St Stephens before returning to Lammas Park. Entries for the Ealing Half Marathon 2019 are now open, contact us to set up your challenge and get your additional discount. LOWEST PRICE Sept 2018 until 31st January 2019 – £38 for affiliated runners and £40 for non-affiliated runners. 1st August to Race Close the fee is £50 for affiliated runners and £52 for non-affiliated runners. The organisers are expecting the race to sell out by the end of July. If you are interested in taking part in the Ealing Half Marathon for your school, you can contact the Events Team by emailing info@ealinghalfmarathon.com or calling 07867 517 918. An official not-for-profit Community Interest Company we are more than one race once a year. We are here all year round. We are best known for creating the UK’s Number One award winning, Ealing Half Marathon. West London’s only fully road closed half marathon for up to 8,000 runners. As an official not-for-profit Community Interest Company our aim is simply to organise and manage a fully road closed mass participation race to raise a surplus which is ploughed back into community projects.